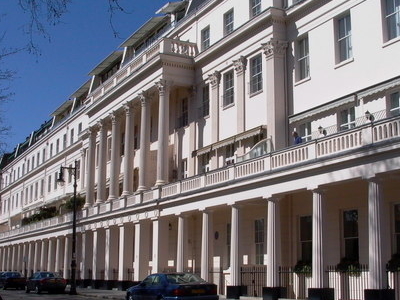 The houses in Eaton Square are large, predominantly three bay wide buildings, joined in regular terraces in a classical style, with four or five main storeys, plus attic and basement and a mews house behind. The square is one of London's largest and is divided into six compartments by the upper end of Kings Road (northeast of Sloane Square), a main road, now busy with traffic, that occupies its long axis, and two smaller cross streets. Most of the houses are faced with white stucco, but some are faced with brick. Here's the our members favorite photos of "Plazas and Squares near City of Westminster". Upload your photo of Eaton Square! Emiliya Petrova is the only Touristlink member to visit Eaton Square. Have you been here? Click here to save it.